Posted by sense on 8th September 2016 in Lifestyle. Recent studies have suggested that those who work and/or live in the city experience more depleted energy levels and higher stressful situations, which, in turn, intoxicate our body, spirit and mind. Countless hours spent commuting to and from work during rush hour, feeling claustrophobic from the sheer number of people and being dehydrated to the point of collapse, whilst continuously breathing in the vast array of hazardous gases that city life has to offer. Enduring long(er) meetings at work and endless office hours, without the necessary and vital breaks to clear the mind and recharge the body. Grabbing unhealthy fast food on-the-go, and, in most cases, not affording enough time for the food to be properly digested by the body. Just being encapsulated by the pollution that is in the air we breathe and in, pretty much, everything we touch or live in or around. Simply bombarding ourselves with stress upon stress, which then dominate and cloud our minds, from the moment we wake up to the minute our heads hit the pillow at night. This is why living a citified lifestyle can actually cause you more stress overall, as opposed to living in more countryside environments. 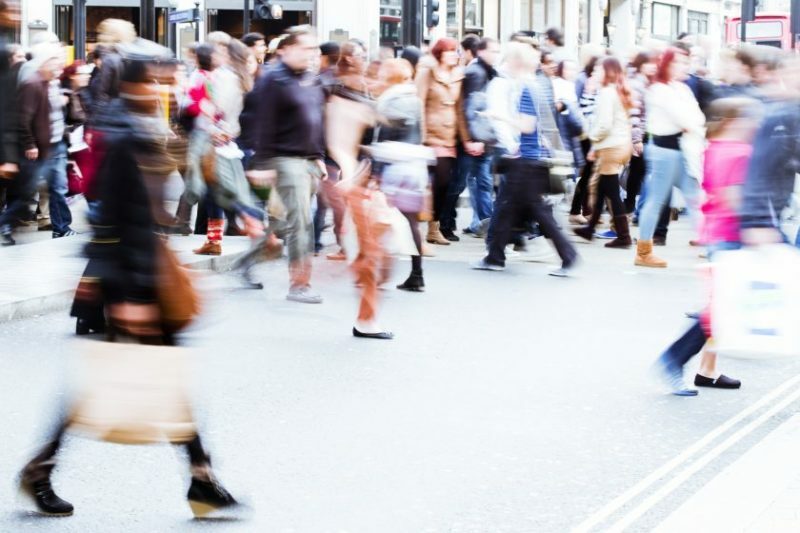 Multiple studies have found that there is a link between busy city life and the onset of mental health issues, which include anxiety disorders and aggression. In countries with a high standard of living, city residents are as much as 21 percent more likely to develop chronic anxiety than rural dwellers, and city living may even alter the brain to process stress less effectively! If you live miles away from the nearest park, then why not bring nature into your living/working space? Research suggests that professionals who have potted plants on their desks are more likely to be productive throughout the day and they get sick less often too. Exposure to pollution destroys essential nutrients that the body needs for its daily metabolic functions. Enzymes that are involved in these processes are also deactivated and can no longer support the body. Green smoothies and fresh salads would make up part of everyone’s daily routine, as they provide healthy nutrients and vitamins which fight against the toxins. Add fruit to sweeten that grassy taste too. Beyond pollution and blaring sirens, the commute alone can be a huge source of stress in cities. If possible, skip the tube/bus and walk/bike to work/meetings instead. You’ll not only get the benefits of exercise, but you’ll help save the planet – and your wallet too. Studies suggest that learning how to meditate can help reduce city dwellers’ stress levels. So, why not try breathing in and out slowly or chanting ‘om’ next time you are late for a meeting or you’re stuck in traffic. It’s amazing how much you can calm the body down in just a few deep breaths. Holistic treatments like body/head massage, reflexology, Ayurveda, healing crystals, and traditional Chinese medicine may help lower a city dweller’s stress levels to a more normal level. If money is an issue—as one session is not enough to deliver results-why not try traditional herbal remedies? Gingko biloba and Panax ginseng are ideal for mind clarity and function, whilst guarana is perfect for energy and alertness. Chamomile can be used for relaxation, and ginger and turmeric can aid digestion and reduce upset stomachs. Our fast-paced modern lifestyle surrounds us with stress and temptation, but if you take care of your body your body will take care of you.